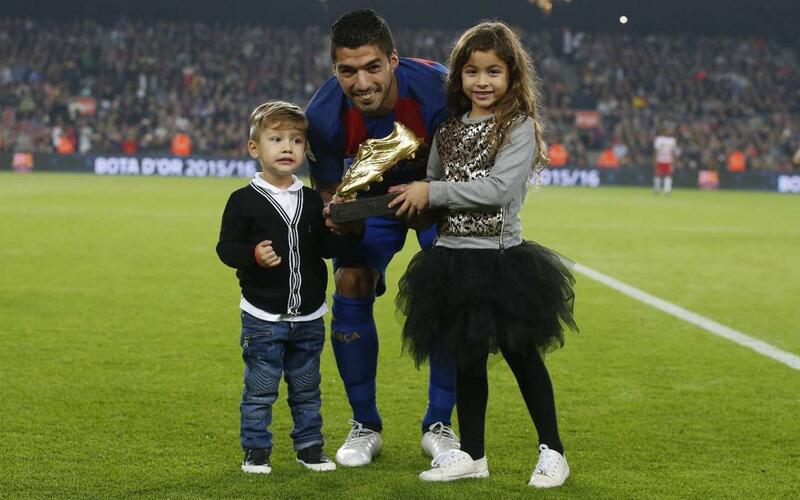 Luis Suárez presented his European Golden Shoe award in front of the Camp Nou faithful on Saturday night, shortly before kick-off against Granada. The Uruguayan was handed the award last Friday but, with the game against the Andalusians being the first at home since then, it is the first chance he has had to share it with his supporters. Suárez took the opportunity to do so between the warm-up and kick-off, which received widespread applause across the stadium.